ASAS recently held a “Nets and Networking” event with the Tampa Bay Lightning, which sponsored more than 40 middle school students to attend a hockey game, a first for all of them. The students rode the Zamboni, pressed the Lightning coil, and cheered the team on to victory. Last year, Lauren founded the organization’s Young Professionals Board, known as the A-Club, for up-and-coming industry leaders. Among its members are Shutts attorneys Kristin Morris, Christopher Hamilton, and Nicole Zaworska. For their next event, ASAS has partnered with The First Tee of Tampa Bay to watch the opening round of the U.S. Open on June 14th at Miller’s Ale House, located at 3860 W. Columbus Drive, Tampa, FL 33607. Doors open at 4 p.m., and a $20 donation is suggested. 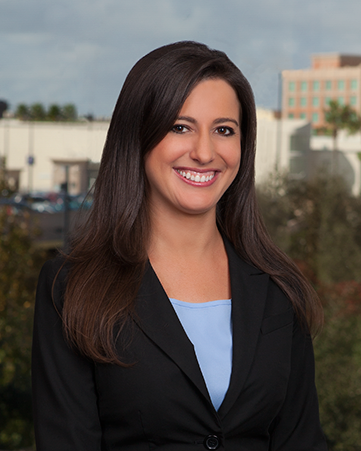 Lauren A. Taylor is an attorney in the Tampa office of Shutts & Bowen LLP, where she is a member of the Trusts and Estates Practice Group. Lauren assists families and fiduciaries with estate planning and the preparation of revocable and irrevocable trusts, estate and trust administration, estate and trust litigation, trust modification and termination, federal estate and gift taxation, private foundations and other tax exempt organizations, pre-marital and post-marital agreements, and business succession planning. After-School All-Stars (ASAS) provides comprehensive support and services ranging from academics and leadership training to sports, nutrition, enrichment and career exploration. ASAS encourages students to be safe and healthy, graduate from high school and attend college, find careers they love, and give back to the community. They operate daily programs, three hours per day in 351 Title I Schools and serve more than 70,000 students annually, 91% of whom are youth of color and 86% of whom qualify for the Federal Free and Reduced Meal Program. If you would like to learn more about the organization, please visit www.as-as.org.